The literal meaning of Pulau Ubin refers to the "Granite Island" in Malay which matches very well with the realty. The island is the home to the enormous abandoned granite quarries. Pulau means "island", and Ubin means a "squared stone" in Javanese. The island is popularly known as Pulau Batu Ubin or Granite Stone Island among the Malays. Earlier, the rocks of this island were used to construct floor tiles which were known as Jubin. Later the name is shortened and it gave birth to the name Ubin. It is also known as Ubin Island, located in the north east of Singapore. Granite quarrying was a popular source of income for many of the dwellers here. The scenario is completely changed today as there are approx 100 villages prevalent in this island. It is believed to be the last rural areas found in Singapore which is saved somehow from the urban impact and as a result of this the area is quite rich in natural flora and fauna. This boomerang shaped Granite Island is just off the north-eastern corner of mainland Singapore comprising an area of 1020-hectare. Earlier, the island comprised of five smaller islands. Presently, the building of bunds for prawn farming has transformed it into a single island. Two other islets, Pulau Sekudu Frog Island, and Pulau Ketam Crab Island lie to its south. There are a series of undulating granite hills in Ubin which are now days replaced by the green vegetation. In place of original vegetation, cultivation of cash crops such as rubber, pineapple, coffee, coconut, and jasmine plantations have started. Today, abandoned granite quarries linger as pictorial relics of Ubin's history. 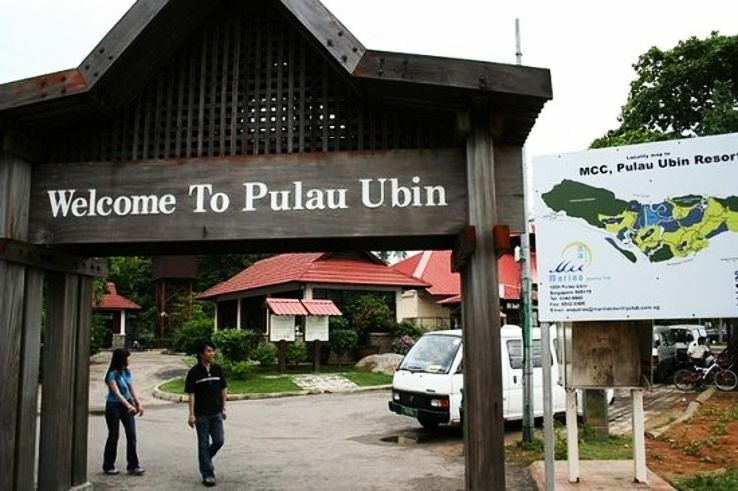 Pulau Ubin is indeed the last 'kampung' village in Singapore. Enjoy the walk through Ubin to move back to the 1960's Singapore and feel the charm. The simpler pleasures of life are quite enchanting here. Plan for one day trip to the Ubin and you will surely enjoy walking or pedaling through the rustic roads under shady tracks in dense rubber plantations, exploring the convincing coconut palms, and relaxing on the secluded beaches and flourishing mangroves is a great experience. The food is tasty and the air is fresher. Whereas sights and sounds are soothing. Experience "Off the beaten track" across Pulau Ubin and have a close look at the charming flora on this area. However the ambience of Pulau Sekudu Frog Island and the sea should be witnessed from the jetty, that will give you a different feel altogether.